Cheese boards are one of the best ways to please all your guests. They look gorgeous with a variety of colors and textures – and can often double as a centerpiece. And the options are limitless, so appealing to different palates and preferences. There are so many delicious combinations! Bonus: “No cooking required” means you have more time to enjoy the company of your guests (or tend to other kitchen tasks). But if you don’t know a lot about cheese or charcuterie boards – it can be intimidating (or expensive if you try to buy every kind of cheese and cracker in the store!). So I’m sharing 3 easy steps to make an amazing and impressive Cheese Board featuring Real California cheeses – that means real food from real people! 1. 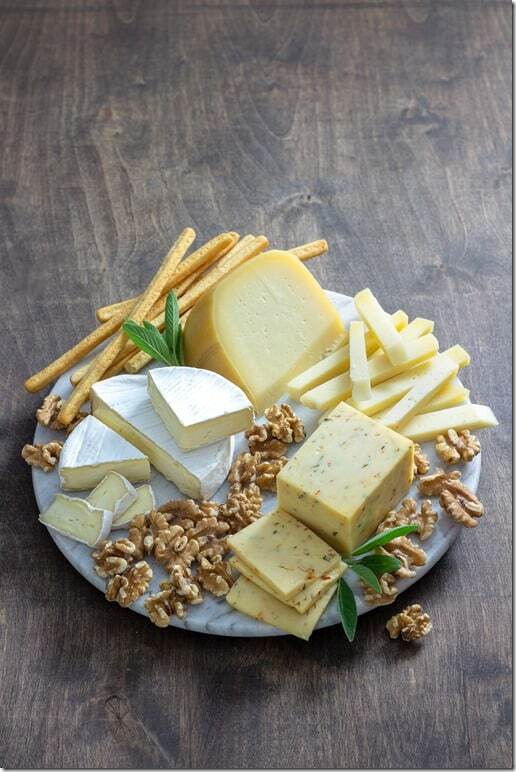 Cheese – choose 3 different types of Real California Cheese. This is usually where it can get intimidating because there are so many different types of cheese! And that’s a good thing when you love cheese!! 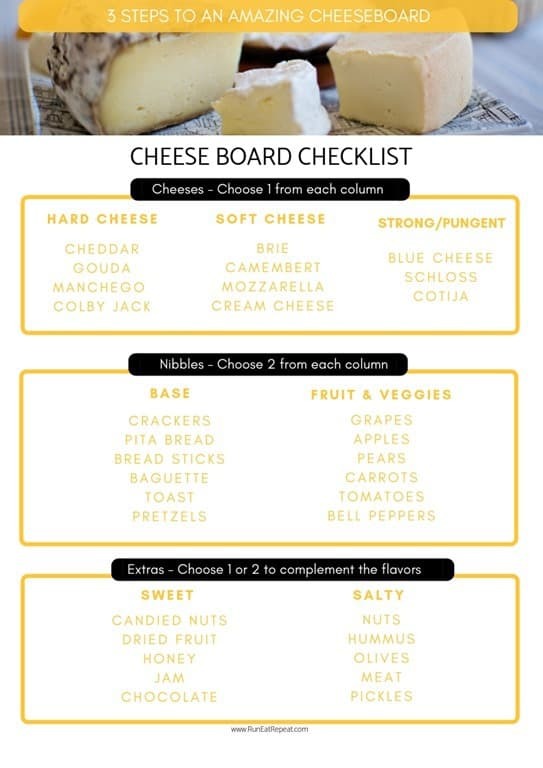 But it’s not great if you aren’t sure what types of cheese work on a board and want to make it a quick trip to the grocery store. The first step is to make sure you have 1 of each type of cheese. 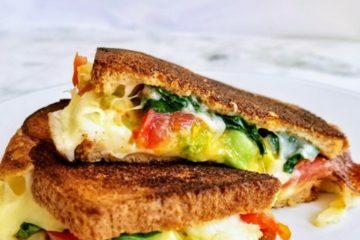 They’re often categorized by firmness and texture so if you want to keep it simple, get one firm / semi-firm cheese, one soft / spreadable cheese and one blue veined cheese. Feel free to get more than this! But at minimum you should start with these varieties and add any others that look good. Tip: Aim for 2-3 servings of each cheese per person. Try this: If you’re serving with wine – cut out the middleman and serve a wine-soaked cheddar, which is not only delicious but also adds a fun color and conversation piece to the board. Remember to look for the Real California Milk seal when buying cheese for your spread to ensure it is made with 100% Real California Milk from Real California Dairy families. You can also get information on Cheese 101 (storage, nutrition and their cheese makers) on the Real California Milk – Cheese section. Choose 2 carb options for the board. Ideally, at least one should be crunchy – think crackers or mini toasts. The second pick can also be crunchy or you can do bread – think pita or sliced baguette. Keep in mind the cheese you got and get something that will complement it. You might want to get a mild cracker if you chose very strong, flavorful cheese. If you went with mild cheeses, a seeded or cracker with fruit and nuts might work well. The possibilities of textures and flavors are practically endless in this area. 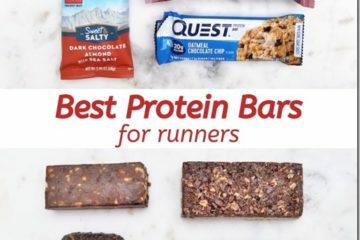 You can do crackers or bread – or both! Just make sure the flavors complement the cheese. If you chose very strong cheese flavors – go with mild crackers that won’t compete with the flavors. Fresh Fruits & Vegetables– choose 1 of each (ideally different colors). This category serves double duty on the cheese board because they’re tasty and add some great color. The best fruits and veggies are the ones that are in season. Shop for produce that’s at the peak of season for the best flavors. And fruits and veggies are often cheaper when they’re plentiful. 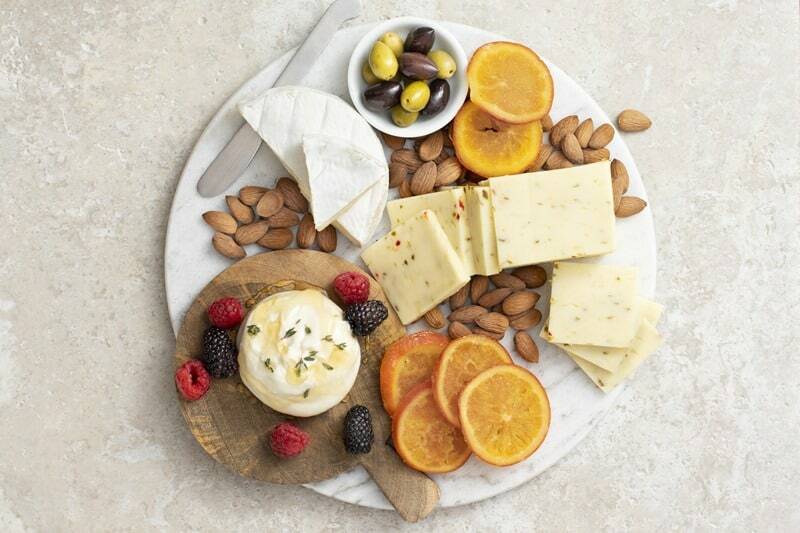 Sweet – choose 1 sweet treat to complement a strong cheese. You can use honey or jam that you already have – just serve it in a nice bowl or cup. And make it easy for guests to serve themselves with a small spoon nearby. Salty – choose 1 sweet treat to complement a milder cheese. Examples: nuts, pickles, hummus, olives, etc. Tip: Sprinkling nuts in any bare areas of your cheese board make it look more plentiful too. Read the breakdown of each category and screenshot this checklist (or print it out) and take it to the store with you. Enjoy! *Look for the Real California Milk seal when you’re shopping for dairy. The seal means it’s made with Real California Milk – from dairy farms all around the state. Check out more >>> Tips & the delicious cheese board I made when I met with some of the Real California Milk team in San Francisco here! Do you have a favorite cheese & cracker combo? I love cheddar and whole grain crackers with a dab of honey. Sooooo good!